Some folks have asked about the difficulty level of making "My So Called Scarf". I learned that the video above existed by reading a "My So Called Scarf" Ravelry forum after I'd started my scarf. The video's fuzzy, but some people have used it to get a better understanding of how to work the stitch. This video is not as fuzzy and shows a close-up of how to do it. 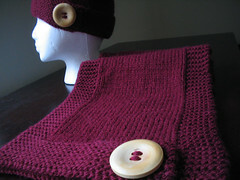 The knitter also shows an alternate way to complete the stitch, which might be easier for some. It's really simple if you just follow the written directions exactly. I did have problems, though, and had to start this darned scarf about 4 times. The problem was that I would make a mistake and didn't know how to fix it. I also would somehow lose a stitch and couldn't figure out how. So, I'd frog the entire thing and start over. I finally figured out how to fix these things by really paying attention to how the stitches are worked. 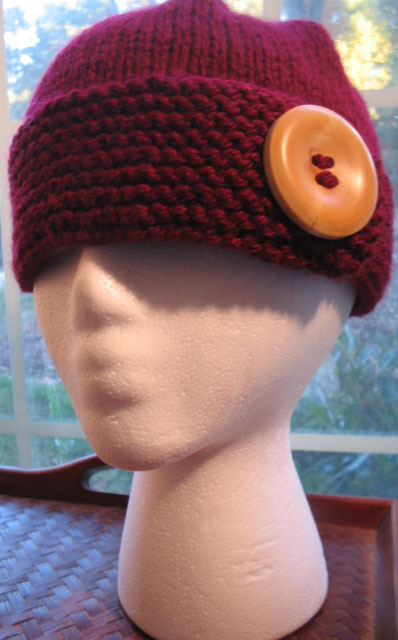 If you're thinking about doing this, I suggest you knit a gauge swatch so that you can practice.